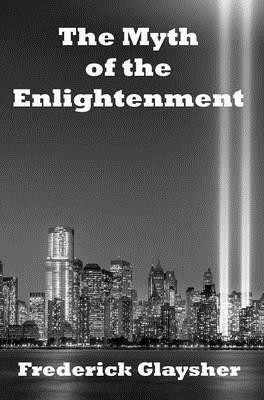 The Myth of the Enlightenment is Frederick Glaysher's first collection of literary essays since The Grove of the Eumenides in 2007. Divided into three sections, these essays and reviews were all written during the 21st Century, with many of them central to his evolving intellectu... read full description below. The Myth of the Enlightenment is Frederick Glaysher's first collection of literary essays since The Grove of the Eumenides in 2007. Divided into three sections, these essays and reviews were all written during the 21st Century, with many of them central to his evolving intellectual and spiritual struggle to write his epic poem, The Parliament of Poets, which he completed and published in late 2012. These essays open up Glaysher's own biography and his life-long interest in the writings of Leo Tolstoy, Rabindranath Tagore, John Milton, Saul Bellow, Robert Hayden, and other poets and writers, offering a fresh, new vision of literature and culture. In terms of his engagement with the writings of such philosophers and social thinkers as Plato, Giambattista Vico, Ibn Khaldun, Julien Benda, Pitirim A. Sorokin, and Jacques Barzun, Glaysher probes into the dilemmas of the Enlightenment and modernity, as he articulates a vision for the 21st Century beyond post-modernism, favoring neither East nor West, but truly global and universal. In the second section, in a number of reviews, Glaysher explores democracy in China, the United Nations, and what literature has too often become under the cultural tyranny of the American English department. In the final section, Race in America, Glaysher engages with his experience of growing up in Metropolitan Detroit and the dynamics of black and white race relations, suggesting, for the 21st Century, a wider conception of who we Americans are. Provocative, calling to account endemic complacencies, The Myth of the Enlightenment reassesses our underlying cultural assumptions, looking forward with hope toward a deeper understanding of Democratic pluralism and universality, for our nation and the globe.